The Sun is in the sign of Aquarius from January 20 – February 19. These dates may shift a little from year to year, but that’s the general time frame. Aquarians are social people and may seem a bit distant until you get to know them well. Then, if you’ve been a good friend, they’re your friend for life. Aquarius is associated with the calves and ankles, thus its identity as the legs on our calendars. 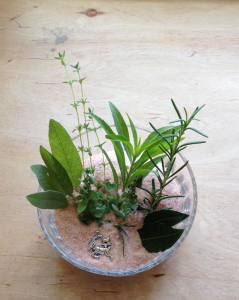 Herbs that are beneficial for leg cramps or sprains could be considered Aquarian plants. Culpepper’s Herbal lists Elder, thyme, anemone, angelica, and meadowsweet among others. I don’t advocate their use, but you might consider adding them to your garden. Aquarius is a dry, barren sign in the garden so it’s not particularly good for planting, but there are always plenty of other things to do. 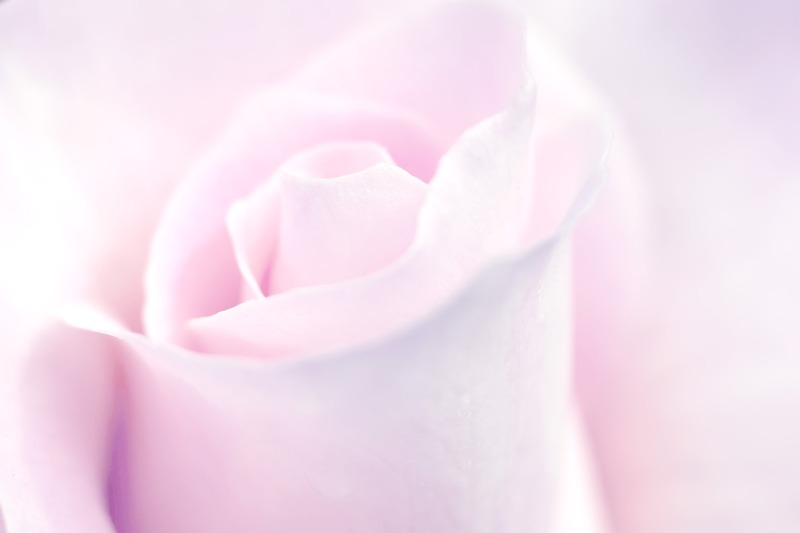 The orchid is February’s birth flower, as well as that of Aquarius. The primrose has also been called the birthflower of Aquarius. Other flowers that would fit Aquarius are those with unusual blooms like the Bird of Paradise and plants, like the orchid, that are considered “air” plants ~ a staghorn fern, for instance. Some of these plants are considered parasites because they grow on established trees, but that’s a misunderstanding. Orchids, staghorn ferns, lichens, bromeliads, the night blooming cereus, and the pitaya which gives us dragon fruit are epiphytes, anchoring themselves on another plant (or maybe even a telephone pole) but not feeding off of them. 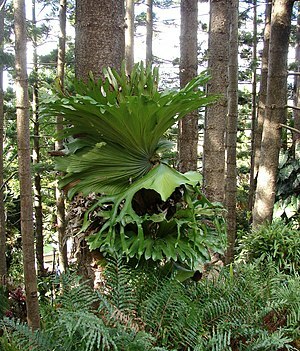 They derive all their nutrients from the air, water, and decomposing leaves. Probably the most Aquarian of all are the bioluminescent or glow in the dark plants, most notably mushrooms. Aquarius is associated with electricity, so these plants are a natural for Aquarius. 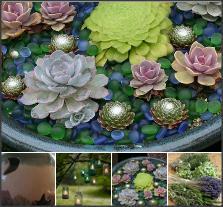 A way to add this Aquarian feature to your garden is with glow in the dark accessories and pebbles. Those wispy little air ferns are another good example of an Aquarian plant. They melt if you spritz them with water. I was taught that air ferns would melt upon contact with water by a sheepdog named James. James would wander from apartment to apartment in the building I lived in while in college. We all left our doors open so James could come for a visit. He also loved ice cubes, so we would hand them out to him, our little ice cube trick-or-treater. 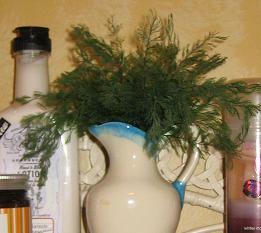 I was cleaning one day and had moved my air fern from my mantle to the coffee table to dust. When I turned to retrieve the air fern, it had disappeared. Where could it be? Surely, I hadn’t taken it out of the room. It wasn’t long that I noticed James at my heels ~ tail wagging, big brown eyes hoping for another ice cube, and sporting a bright green mustache. At his feet was all that remained of my little air fern ~ a few stems and feathery leaves that had escaped his chomp. James was fine. No harm was done. About 30 years later I bought another air fern. It sits high atop a shelf in my bathroom and when it gets dusted, it never leaves my hands.